Discover what it means to be powerfully spiritual, as scripture defines it. This resource contains the most life-altering principles found in the Rhythms of Grace series. Digging deep into the dynamics of personal transformation, readers discover the power of coupling deep repentance with joyful belief. re: FORM takes the best principles and practices gleaned from many years of development experience, and thousands of transformed lives. At some point every single Christian needs to learn how to profoundly leave behind the brokenness of the "old-man," and embrace the powerful "new-man" found in the Spirit. This material equips people to do just that. The ideas in this book need to be a part of your spiritual journey. Digging deep into the dynamics of personal transformation, readers discover the power of coupling deep repentance with joyful belief. Do as a group, and include a spiritual retreat for maximum impact. Daily readings and group work all included. 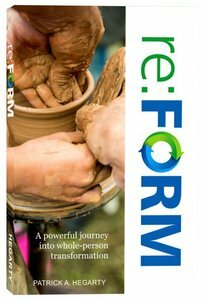 About "Re: Form: A Powerful Journey Into Whole-Person Transformation"